Need large capacity? Look no further. If you machine pipes and flanges for the oil and gas, construction, aerospace or shipbuilding industries, the PUMA 700 Series is a true difference maker. Its turning diameter maxes out at 35.4" and the turning length goes all the way up to 198.8". Main Spindle Std Chuck (inches)32"
The heavy duty production you need. Large diameter workpieces are the PUMA 700’s bread and butter. 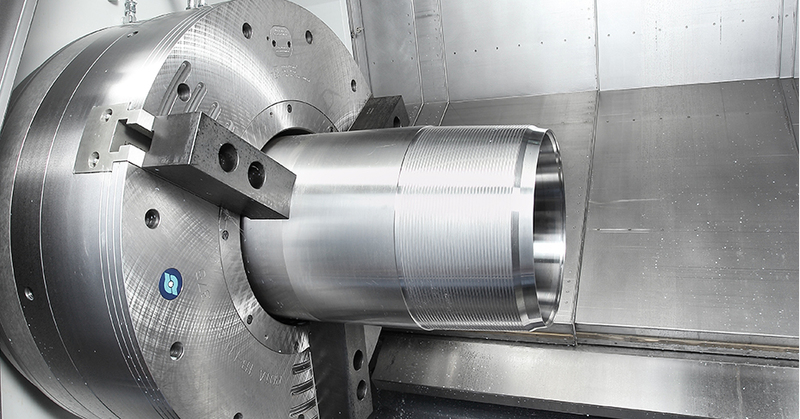 The 60 horsepower spindle brings 4,873 ft-lb of torque to the party, which lets it easily handle ID/OD turning, end milling, tapping and U-drilling. Productivity maximized. The PUMA 700 is controlled via FANUC CNC, and our easy operation package keeps track of your machine operating time by logging the hours it’s been on and how many parts have been completed. Optional tool load monitoring detects overload and notifies you.